Landscapes and cityscapes are the current content of my art. 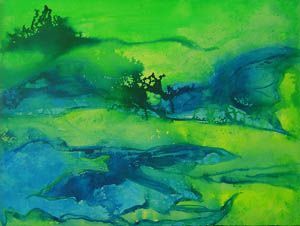 I work in acrylic, watercolor and mixed media to create images at various levels of abstraction. Sometimes my process is intuitive and spontaneous. I often just enjoy pushing the paint around to see where it wants to go. At other times, my dual interest in both science and art lead me to manipulate photographs of, for example, trees and architecture on my computer to create a variety of digital images, which can stand alone or provide the basis for paintings. One of the fascinating features of computer manipulation is the way in which aspects of nature that are imperceptible to the human eye are suddenly revealed. Although humans have a remarkably efficient ability to filter out nonessential details, this simplification may make the visual image less rich. I try to achieve a dynamic interaction between my personal artistic perceptions and computer modulations. Regardless of my technical approach, I make art because the process feels good and the anticipation of the outcome is exhilarating. My favorite works include a bit of whimsy, a touch of the incongruous, some ambiguity and a measure of beauty. 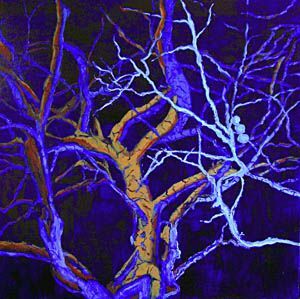 Barbara Tabachnick’s art training began with studies at the University of California, Los Angeles in 1959 as a break from her pursuit of a major in psychology. She was ready to return to the academic grind after a few painting courses and, while working in various research jobs, finally completed a PhD in experimental psychology in 1971. 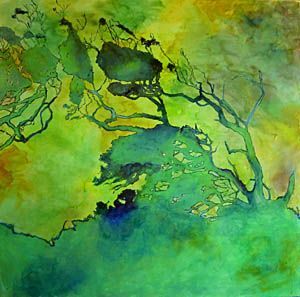 However, she continued to paint while in graduate school and during the first few years of her full-time appointment in the Psychology Department at California State University, Northridge, where she taught perception, statistics and research design. While teaching and completing two advanced statistics books, she supplanted painting with belly dancing, including designing and making costumes. Since her retirement from teaching in 1996, she continues to be involved with consulting in research design and statistical applications as well as in writing and updating her books. After a set of editions of the books was completed in 2000, the urge to return to art making became compelling. Tabachnick is a member of College Artists of America, Valley Artists Guild, San Fernando Art Club, Lantern of the East Los Angeles and Los Angeles Experimental Artists. She has exhibited in a variety of juried shows in the San Fernando Valley, winning several prizes. Her work has also been included in juried shows in Los Angeles, Thousand Oaks, Monterey Bay and San Diego. 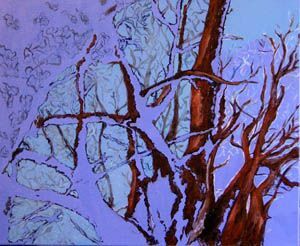 She had a shared solo show at the Orlando Gallery in Tarzana in 2004 and was twice invited to exhibit at the Ontario International Airport.